There are millions of people all over the world who struggle to get good sleep at night. And if you’re reading this right now, odds are that you are one of them. In many countries, all you have to do if you are struggling to get a good night’s sleep is drive down to your local pharmacy, walk down the medicine aisle, and pick up the bottle of over the counter sleeping pills. All Sleeping Pills Are the Same. Seriously. You know how there’s basically an entire wall of sleeping pills in the medicine aisle at the drugstore? You would think that because there are so many different brands on the shelves, they would all be different in one way or another, right? Unfortunately, you would be wrong. And if you don’t believe us, we strongly suggest you take a closer look at their active ingredients the next time you’re in a drug store. The pharmaceutical compound in sleeping pills that makes you feel drowsy is something called diphenhydramine. Historically, when diphenhydramine was originally discovered, doctors and scientists thought that it would make an effective allergy medication. But as more and more people started taking the drug in order to alleviate their allergy symptoms, doctors started noticing their patients reporting the same symptom: extreme drowsiness. After enough anecdotal evidence had established a substantial connection between diphenhydramine and it’s a sedative effects, drug companies everywhere pounced on this knowledge in order to make a quick buck. They took whatever allergy medications they had patents on, redesigned those drugs, and rebranded them as sleeping pills. Sure enough, they sold like hOTCakes. After all, why spend the time and money going to the doctor for a prescription sleeping pill when you can just pick one up at your local pharmacy? Well, as it turns out, you may be taking a bigger gamble with your health than you realize. As you might expect from a drug which is advertised as a sleeping pill, taking a recommended dose at night every once in awhile will make you feel sleepy (and, hopefully, help you fall asleep more quickly). Some lucky people may actually wake up feeling as well-rested and refreshed the next morning as advertised. Unfortunately, the majority of people who rely on sleeping pills don’t simply take them every once in awhile. Taking OTC sleep meds can easily develop into a nightly habit. To make matters worse, you’ll eventually need to take higher and higher doses of it as your body builds up a tolerance. A large majority of the people who do take sleeping pills on a regular basis still feel as groggy and tired as they would if they hadn’t gotten any sleep at all. If anything, sleeping pills can help make you feel like you got to sleep quicker and make you feel a little less anxious about your lack of sleep the next day. But it’s just a crutch. In truth, even if you do manage to spend more hours asleep after taking a sleeping pill, you are still compromising the quality of your rest. Taking a powerful drug in order to induce drowsiness interferes with your body’s ability to maneuver through a healthy sleep cycle while you get your z’s. REM sleep is compromised and you spend less time in the deepest stages of delta sleep. When you don’t get enough REM sleep or deep sleep, your body and your brain cannot clear away the wear and tear that your body experiences on a daily basis. Over the course of many years, this lack of restorative sleep can make you more vulnerable to disease, impair your cognitive function, and even shorten your lifespan. 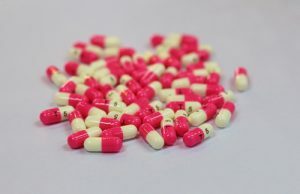 The most frightening example of the damage which sleeping pills can do overtime was exposed in a recent analysis of elderly individuals. A study of people 65 years and older who had taken diphenhydramine daily for allergies over the course of several years – sometimes even decades – found that they had more advanced signs of brain aging than people their age who had not. Furthermore, they were more vulnerable to developing dementia-like symptoms or even full-blown alzheimer’s disease at an earlier age than their peers. While correlation does not automatically mean causation, it’s certainly something that you should take into account the next time you think about buying a box of sleeping pills. Thankfully, the less frequently you take diphenhydramine, the less likely you are to experience these symptoms. Even if you’ve been taking it at high doses on a regular basis for many years, you can reduce these symptoms fairly quickly and easily when you stop taking the medication. If this sounds easier said than done, that’s because it is. Thankfully, there are alternatives which can help you get to sleep without interfering with your rest or causing unpleasant side effects. How did insomniacs get to sleep before the invention is diphenhydramine or prescription sleeping pills? You may be tempted to say “they got drunk”, and although you probably wouldn’t be wrong, alcohol will also compromise the quality of your rest. But natural herbal sleep aids will not! People have been using ingredients like chamomile, lavender, and hops extract for hundreds of years to fix their sleep problems. And if you find a high-quality herbal sleeping pill which contains effective ingredients like these, you can too. Previous PostPrevious Are You Having Trouble Sleeping Because of Hemorrhoids? 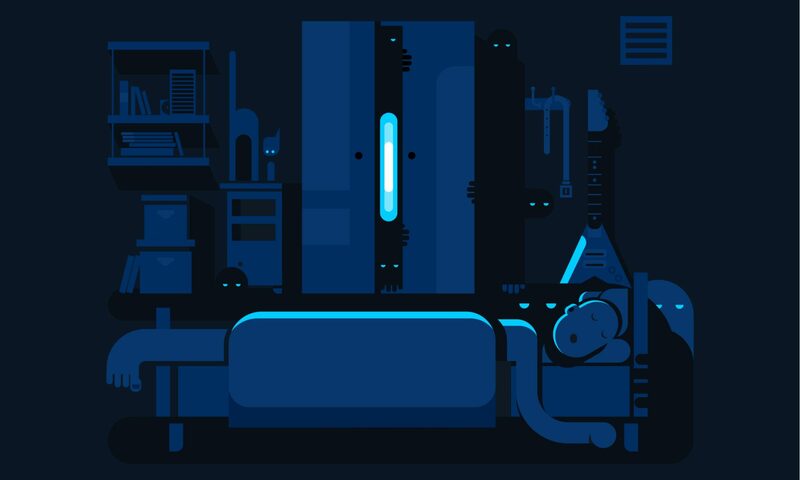 Next PostNext Poor Sleep Isn’t Just Annoying – It’s Leaving You Wide Open and Vulnerable to Dangerous Diseases!